I am so grateful for the opportunity to host another food styling and photography workshop in the Dordogne region of France this year with the over-the-top-talented Aran Goyoaga. In fact, registration takes place tomorrow, Thursday, January 26th (that's today for some of you already), so I want to review the details of signing up for those interested. Aran, her assistant Nadia (whose gorgeous home was featured in my "real life home series" last week), and I, are so thrilled to be sharing another fabulous week with 8 new friends amongst castles, cliffs and breathtaking views. 1. At 10 o'clock PST (1 p.m. EST) a post will go live on Aran's blog, Cannelle et Vanille, indicating an email address where you'll need to send your intent to register. Please make sure you are online at this time if you are interested in attending this workshop as we will accept participants based on the order in which emails are received. It wouldn't hurt to have a basic email formulated ahead of time. Last year the workshop filled in one minute if you can believe it. 2. Once you hear back from us via email (within 24 hours), you will be required to complete some paperwork and then return it to us via fax, email, etc. 3. Payment will then need to be made to secure your spot and can be completed in 3 ways...1. via e-check on PayPal (no fee)...2. via "send money" option on PayPal ($90 fee to cover PayPal commission)...or 3. via check or money order. In the case of the latter, the money order will need to be received within 1 week (by February 2, 2012). Once payment is made and requested forms are signed, your spot will be secure. At this time you'll receive an email from us confirming the good news (!!). If you are not able to secure your spot at this time, we will be sure to add your contact information to a waiting list. 4. Once all 8 participants have passed along necessary documents and payment, we will share the week's itinerary with all attendees (this part makes us particularly giddy!). As a reminder, this is going to be a unique workshop, not only for it's picturesque and inspiring location in France, but for its size as well. 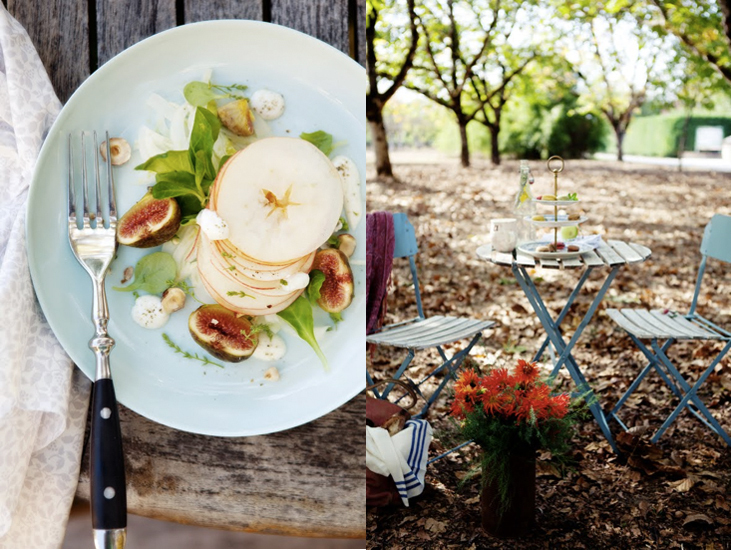 Limited to just 8 people, you will be given the opportunity to spend a significant amount of time with Aran each day as she guides you through the thoughtful process of procuring, styling, creating and photographing food. We like to think of it as a 4-day party with amazing food, accommodations and experiences. The workshop will begin the evening of the 23rd of September and run through the late afternoon of the 27th. 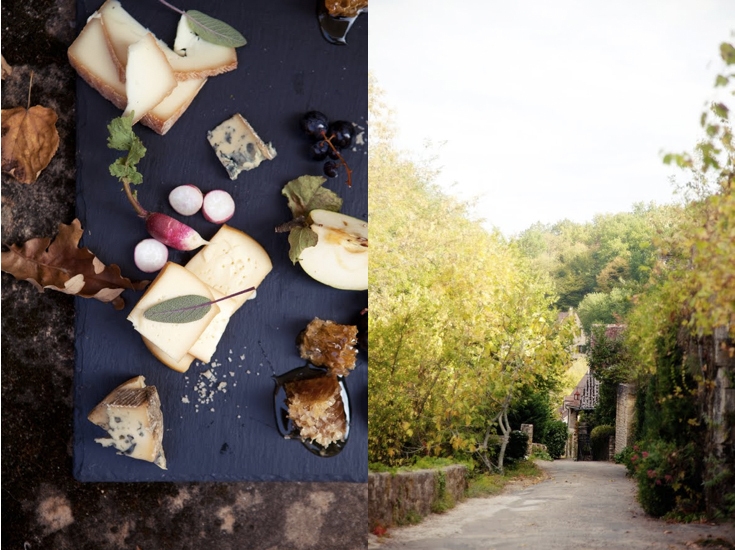 The workshop includes 4 days of cooking, styling and photographing food in a beautiful manoir nestled up against a stone cliff overlooking a lazy river. The cost is $2240/person for a shared room (5 available) and $2740 for a private room (3 available); and covers 4 nights accommodations in a luxurious bed and breakfast, 4 gourmet breakfasts, 4 lunches, 1 dinner, transportation during workshop hours, 3 days of full instruction with Aran Goyoaga, and 1 day of sightseeing in the area...just to start. Our 2011 workshop was an incredible experience for all who attended and we are excited to share another magical week with you. See you tomorrow at 10 a.m. PST, 11 a.m. MST, 12 p.m. CST or 1 p.m. EST! We would love to have you Rachel! Aran really is amazing at what she does, isn't she? We are so grateful to have found a way to host another workshop.